“If you accept this plea deal, you are likely to get a much lighter sentence and avoid a possibly lengthy trial,” expresses your criminal defense attorney. As favorable as he attempts to make it sound, you choose not to accept the plea deal. Your attorney doesn’t support your decision but understands that as your legal representation, he has the duty to provide you with effective assistance of counsel. The trial commences, and you remain hopeful that it will conclude with you being proven innocent for all presented charges; however, the opposite happens. The jury comes back with a guilty verdict and the judge sentences you to the maximum allowed sentence for the crime. As discouraging as this may be, it is vital that you remain aware of the legal options available to you. 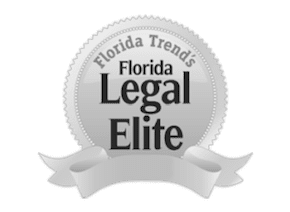 The Orlando direct appeals lawyers at The Umansky Law Firm have the legal experience to get you through a possibly tedious appeals process. We can file the necessary paperwork, present your case, and even present oral arguments in court. Rest assured knowing that your direct appeals lawyer will look out for your best interests throughout the entire appeals process. Contact The Umansky Law Firm today to start discussing your legal options. A direct appeal can come as a result of numerous instances. If you believe you were unfairly sentenced, received subpar representation from your legal counsel, or that there was any other miscarriage of justice, you have the right to request an appeal. We highly suggest that you have someone other than your trial lawyer serve as your appellate lawyer. Your new attorney will approach the situation with fresh eyes, and can uncover errors your former attorney overlooked. After your conviction, you’ll have 30 days to file a notice of appeal. We will file the appropriate documents on your behalf for the appeal to be considered. The prosecution will then file a response brief, and we will have the opportunity to file a response brief soon thereafter. If we find it necessary, we can request oral arguments to allow us to explain the issue further and clear up any uncertainties. After both sides have submitted their respective briefs, it is up to the appeals court judge to rule on the matter. Oftentimes, the appeals court judge will make a decision based on the briefs alone. Oral arguments only occur if the judge deems them necessary. If the judge upholds the decision of the lower court, your appeals case is usually over unless you choose to appeal to a higher court. However, if the judge rules in favor of your appeal, he or she can have your case remanded or overturn the decision altogether. If the judge remands your case, he or she can have the lower court judge consider new evidence, reconsider presented facts, order a new trial, or any other further actions he or she sees necessary. The appeals process can be highly beneficial, but your chances of having your appeal approved significantly improve when you acquire a seasoned appellate attorney. The Orlando direct appeals lawyers at The Umansky Law Firm understand the importance of getting an appeal right the first time and will do everything in their power to have your criminal conviction reconsidered. The law allows you 30 days to take action. Don’t waste any more time. Contact us today at 407-228-3838 for a free case evaluation.